I've blogged before about the annual pilgrimage to unfulfilled youthful opportunities! Having never quite got around to going down to Castle Archdale and camping out as part of Summer Madness, I've known people connected with the event for nearly twenty years. Since its move to the the Kings Hall/Balmoral Showgrounds, I've gone along on the Sunday morning as a day tripper - entrance on Sunday is free! - and joined the thousands of young and used-to-be-young for morning worship and communion, and often for lunch afterwards. It's great to meet up with friends from school, folk from the church I grew up in as well as friends from those I've been part of since getting married and moved across to Belfast. 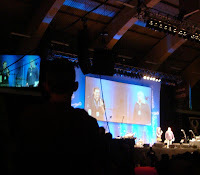 And away from those who are recognised, there's a real encouragement about sharing communion with thousands of strangers who hold common beliefs and hopes. Littl'un came along with me this year - she nearly knows more people at SM that I do ... and she's only three and a half! If the festival continues to thrive, I suspect one day she'll be setting off out the front door with a sleeping bag and a tent under her arm, and enough biscuits to survive the five days! The weather was up to its usual standards. Driving showers as we departed for the four or five mile journey across town ... which stopped just before we arrived at the car park. And the rain came down as we started to walk back across the site to the car. Soggy tents all round. 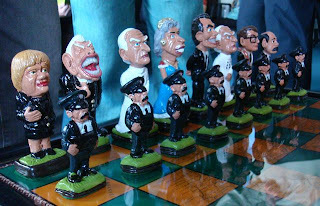 I hope the event at Balmoral over this weekend will turn out to be the only madness in Ireland this summer. And I hope that God can use the thousands of folk at SM to put their faith into action in their communities - whether at home or abroad. For copyright reasons, Lego keep unopened boxes of nearly every Lego set ever produced in a vault at Lego HQ in Billund, Denmark. Popular technology blog Gizmondo got to visit Lego recently, inspiring a whole series of interesting and nostalgic articles. But I'm guessing that Jesus Diaz must be roughly the same age as me, as he picked out a number of the sets I enjoyed building during my childhood while filming in their vault. The yellow castle complete with knights and shields. The TECHNIK two-seat car/buggy - that my Dad helped me build into a four speed gearbox complete with clutch. An electric train that reminded me of my first one, that started quite a collection of rails and points. Lots of memories. Seeing pictures of the Lyric theatre being knocked down brought back memories of building a Lego theatre - of which the main feature were the stage lights - I was fascinated by theatrical lights before I discovered sound and PA systems, and before pictures and video came along. And then there was the Lego Master Builders Club with the square metal pin badges and colour magazine full of stories about enormous brick creations. Well worth a flick through the series of articles if Lego was part of your growing up (or that of your children/nieces/nephews). The good news for Littl'un is that I still have my childhood Lego. The bad news for my Mum and Dad is that it's still at their house! 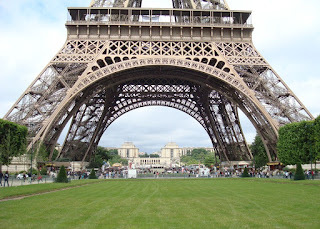 When visiting Paris, it's hard to resist the draw of another visit to the Eiffel Tower. Play word association with any child that's into their books and "Paris?" will get a response of "Eiffel Tower", much as "Dinosaur?" would get "Barney". Littl'un recognised the towering iron structure without any prompting as it appeared out of nowhere between a couple of trees. But to my surprise - and slight relief - she had no desire to go up to the top. Sitting in her push chair, she leant back and took in the view from the ground. And then scoffed a strawberry-flavoured ice cream while hundreds of tourists and school groups milled around the base. 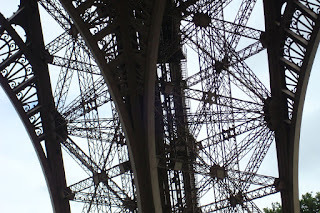 But while the shape of the tower is instantly recognisable, for me its beauty and fascination is in the detail of the iron work, the girders and mesh that keep it safe in the air. And every time I see it, my mind casts back to a 1970s film starring Roger Moore that invoved a terrorist group taking over the tower - can't figure out the name, and I could be wrong about the details, but I remember lasers and a beginning set in a training camp up in the far north of Scotland. 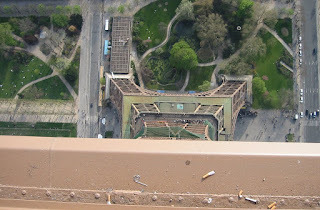 But perhaps the best photographs I have of the Eiffel Tower are from a previous visit in March 2003, like the one below. Stereotypes - tabloid or societal? Just over three weeks ago, I was sitting in the Orient in Ballyhackamore awaiting our Chinese takeaway. The Sun was the only newspaper lying around. Big Brother had just begun, and the middle "daily four page pull-out" heralded details about the 16 housemates who found their way into the BB house for the latest series. But rather than just labelling their mugshots with their names, a trite nickname had been invented. Three weeks on, and some of these folk will have left the house, and be edging out of the media spotlight ... and police enquiries! Despite setting themselves up for the media intrusion and public comment by entering the well-established and well-understood reality show, it still felt objectionable that they should have been given a label and reduced to a stereotype. Is it just a tabloid obsession to reduce people to a memorable moniker, or is it a tendancy of us all. Are we a nation of stereotypers? "Tell me everything you know about the gospel while standing on one leg." As I stand here before you today after having lived the life of “candidate for moderator” over the past six months, I can tell you that more than once I have said to myself, both out loud and in my head, “What are you thinking?” The very idea that I, this 39-year-old, father of three, earring wearing, pastor of some funky urban new church should or could stand for moderator is utterly ridiculous. There's a short biography on the PC(USA) website too. 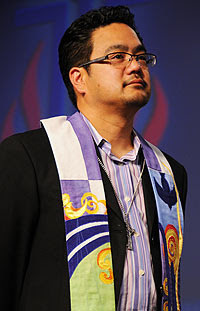 Maybe the Presbyterian Church in Ireland will invite him across to Belfast for next year's General Assembly in Belfast. Congratulations Bruce ... good luck, and God bless. Driving on the small side ... Non! Je dit "reverse"
Driving back home from the Belfast International yesterday afternoon, we were pottering through Templepatrick when I noticed lots of brands (marks?) of cars that I hadn’t seen all week in France. The French are probably a combination of practical and parochial. They like small cars, and they like French cars (extending the cheque book of friendship across to the odd Italian import). No SUVs. No Land Rovers. No big jeeps. Can’t remember seeing a 4x4 all week. Plenty of Espace-type people carriers, but nothing outrageously oversized. Instead lots of Twingos (old and new models), Peugeot 107s, Citron C1 and C2s, a surprising number of Minis, and quite a few Smart cars around Paris. The only Ford models on the road were the odd Fiesta, Ka and a single Focus. Very few Mercedes or BMW - though Volkswagen Polos and Golfs were common enough. Yet, driving through Templepatrick, the array of manufacturers’ vehicles flying past on the other side of the road was bewildering. And the size of them compared to the number of people inside was extraordinary. The BBC News home page has a couple of spots reserved for quirky and unusual stories, labelled Also in the News. They’re often the most clicked on links after the top story. This morning featured the irresistible Wrong gear confusion leads to flattened sports car - a practical example of why the French might be right to drive on the small side. However clicking through to read the story brought an unexpected feeling of shame. It was a Northern Ireland story. A Belfast story. Yet more positive representation of thriving Northern Ireland! 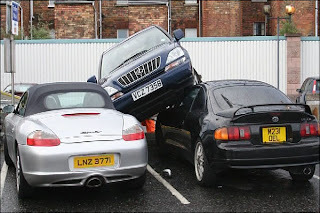 It's the story of a Lexus SUV that instead of reversing out of a parking space in the Co-Op car park on the Lisburn Road went forward, and with an automatic gearbox, traction control, and a sturdy pair of wheels, drove up on top of a Porsche Boxster and a Toyota Celica. Ronan O’Kane’s on-the-spot pictures tell the awful story. Dominic Montague, who works in a nearby coffee shop, saw the Lexus driver in the aftermath of the crash. “She just looked befuddled, she couldn't really understand what was going on - which is probably understandable enough if you drove a car out over two other cars,” he said. One person, believed to be the Porsche driver, was taken to hospital. His injuries are not believed to be life-threatening. ... and the police are now investigating. Update - after lunch - although the front page title remains the same, the actual article has been re-titled, from Gear mistake flattens sports car to Lexus rollover in parking lottery, and much of the speculation about going not quite getting into reverse gear has been wiped. While some of the local food bloggers are adventurous in their culinary exploits, I'm not sure that any would think twice about rejecting this variation on profiteroles. The full story is in an earlier post - now updated with the evidence. The joy of a decent public transport system is that people use it. And a high speed train network like the TGV requires people to be seated. We turned up at Gare de Lyon (which is in Paris not Lyons - though occasionally foreigners make a bad mistake!) - in good time to buy our tickets to head down to Valence. Except the train we wanted was completely full. Sold out. And when it's full, there are no more tickets. A bit like an airplane rather than an intercity train in the UK (where you the space in a carriage between the doors and the toilets will regularly be filled with bodies, like sardines in a crushed tin). So it's going to be an extra two hour wait for the later TGV - which only has seats available in first class. Kerching kerching. The only upside is that Littl'un can have a seat for the two hour ride for a mere €8. Less than a tenth of what each of her parents are paying. If only I could pretend to be three and a half too! Time for another tea glace! 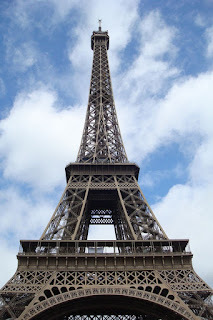 The Paris Metro has a distinct advantage over London's Tube: the Metro doesn't run very deep. Carting Littl'un (and our cases) around Paris, we appreciate the access improvements that the city are making to the Metro. Some stations have working escalators, some even lifts. However a number have lifts up to the main concourse, but still steps up to street level! And some major stations like Gare du Nord have broken escalators, no lifts, and just bump-bump-bump steps down to certain platforms. Though we're thankful for helpful passers-by who volunteer to lift the front of the buggy while the other one of us carries the cases up and down. Whatever its faults, the Metro is miles more accessible than the Tube will ever manage to be in the next five years. And the Paris bus service is very reliable, very regular - and unsurprisingly - very well used. Getting a decent cup of tea is a real problem. Thé au lait was served yesterday with hot tea and hot milk .... yuck! Tonight, lait froid was provided, and the tea tasted divine. Thank you Holiday Inn! Though payback for the decent cup'o'tea was the profiteroles. Served with fromage frais not chocolate? Sounded ok.
Picture what arrived - I'll add the photo when I get back home. Update - done! Three profiteroles, stuffed with cottage cheese. And on the side, a square dish of lettuce. No cream. No ice cream. Not even anything sweet. Hardly deserved to be on the dessert menu! But at least the tea was wonderful. We'd a lovely lunch yesterday in a tiny backstreet restaurant near St Michael. Tonight we called into a bar near the hotel with a Parisian friend. There was a menu on the door, and Littl'un was hungry. Him: "Sorry, only thing on the [proper] menu tonight is steak et frites"
Five minutes later. "Actually, too late for steak." Me: "Hot dog and chips?" Fifteen minutes later, enormous hot dog with a sprinkling of cheese over it arrives. Him: "Ah non. Too late. Enjoy your meal." 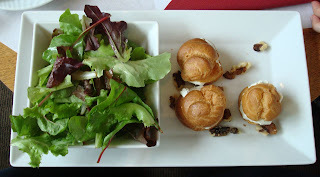 For the record the Croque Monsieur avec salade was lacking anything green! Not great for a gastro-pub that advertised meals all day long. So our brush with French cuisine has its good and bad points. Though the Quick! burger chain do lovely meaty burgers and the salad equivalent of chips is enormous and very edible. Tomorrow we head down to Valence on the TGV for 24 hours. 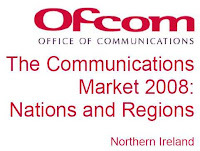 The last of a series of posts looking at the results in this year’s Ofcom Nations & Regions Communications Market Report for Northern Ireland. In general, broadband availability is highest in urban areas. And the highest speeds will be achieved by the more densely populated built-up areas where people live a lot closer to their exchange than in rural populations. Yet broadband take-up is highest in Northern Ireland’s rural communities! Could that be the long dark evenings with only the village pub open for entertainment. (I stereotype ridiculously.) Could it be that fewer folk in rural areas have access to high speed internet as part of their day jobs, so have to rely on it at home? (Though rural commuters are pretty common.) Or as mobile networks become slower and less reliable the further away you go from the densely populated urban areas, does mobile internet become less appealing, leaving broadband the only option? Belfast has a particularly low broadband penetration, in line with Ofcom’s “small towns”, but markedly lower than Derry. With an average age of 35, Northern Ireland has the lowest aged regional population in the UK after London (34). As expressed in a previous post about mobile, the hypothesis is that Derry has the youngest population in NI, taking full advantage of gadgets and gizmos, which may explain some of the differences between the Derry and Belfast figures. So no surprise that 34% of those surveyed in Derry had used the internet to watch TV or video content, compared to just 21% in Belfast. Ofcom’s raw figures show that use of wireless hubs is more popular than average in Northern Ireland (53%) with peaks in the rural east (58%) and border areas (56%). Hot spots (made choice of term) in Swansea, Yorkshire, Newcastle upon Tyne and the rural east/south east of England can top the NI peak. Northern Ireland (19%) has a higher than average (17%) use of mobile phones to listen to audio content (such as radio, MP3s or podcasts). Again, Derry technorati shine out at 23%, though behind the audiophiles in Liverpool (25%) and Birmingham (27%). And we’re far behind Scotland when it comes to our media stacking habits and multi-tasking while using the internet. Northern Ireland trumpeted its 100% broadband availability ahead of anywhere else in the UK. On the ground this translates into 360,000 broadband connections, of which 680 are satellite. Virgin Media pass by the door of 30% of NI households. The Ofcom report also highlights a couple of Fibre trials in NI. 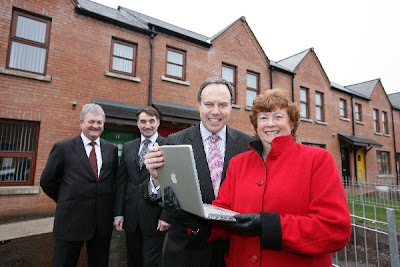 In conjunction with the Department of Enterprise, Trade and Investment (DETI), Virgin Media is installing 20Meg broadband to 70+ houses in Lavinia Square, a social housing development near the Ormeau Road in Belfast, using Fibre To The Cabinet/Kerb technology. And up the street, Bytel are supplying Fibre To The Home into another ten houses – capable of 100Meg, but limited to 20Meg for the trial. A further 43 homes will be connected as part of the second phase by October. And a formal project evaluation is due by the end of the year. DETI is funding the project to the tune of £67k to install the infrastructure. However, much of the £33k cost that was poured into the ground used to dig the trenches in which to lay the fibre optic cable could be avoided if the developers planned this in to their foundations! Ryanair run a very distinctive airline. One that has little focus on good customer experience: instead prioritising their internal processes and profitability. So instead of bending to the whim of customers, they simplify their internal processes, derisking them of all that can go wrong. After all, complexity introduces more potential failure points. And it works. A very high proportion of their flights depart and land on time. And they squeeze every last pound or euro out of customer pockets. Unfortunately their success leaves a poor taste in customers' mouths - feeling cheesed off that online check-in closes four hours before the flight departs, meaning you can't leave it until you get up for the early flight to Stansted. Oh, and web check-in no longer qualifies for priority boarding. And then there's the on-board advertising - the plane's PA sounds like Ryanair FM before take-off. And no where else could a simple breakfast of tea and a roll cost £7.20 - and be served tea first followed 15 minutes later by the roll (and finally another 20 minutes later by a scribbled receipt). Its older Irish flying cousin, Aer Lingus, may be late departing Belfast International for Paris this morning, but their laid back attitude at check-in - "would you like to take the buggy to the gate?" - and hassle free approach has us all chilled out. Being en vacances helps too. Update - the delay was just over half an hour in the end. 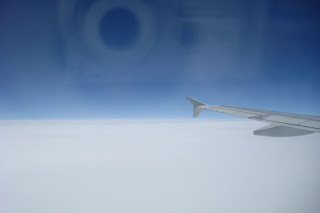 Spot the problem with the photo below, taken out the window after we took off and rose above the clouds. 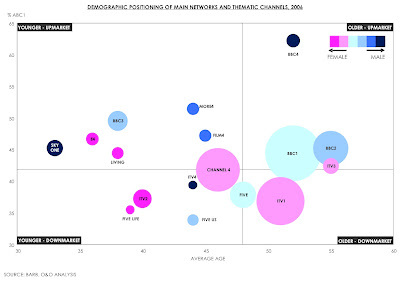 Mobile cropped up a lot in this year’s Nations & Regions Communications Market Report (general overview). Northern Ireland continues to have amongst the highest mobile ownership in the UK. Across Northern Ireland, just over one in ten households no longer has a fixed telephone line, replying on mobiles instead. Focusing in on the two largest cities and that proportion more than doubles: around a quarter of household in Derry (27%) and Belfast (23%) rely solely on mobiles. There is a general hypothesis that Derry has a younger-than-average population that take full advantage of everything techie. So living off a mobile fits that stereotype. But what about Belfast? Could this reflect the larger number of rented properties in Belfast, with more transient occupiers (students, migrant workers, etc) who have landlords that prohibit the installation of telephone lines/cable etc or find the minimum contract periods too restrictive or too costly given their circumstances? Or maybe Belfast really is buzzing and city dwellers expect to be out most of the time, making a home phone line and answering machine a nuisance compared to mobile voicemail. Whatever the reason, the lack of a fixed line does mean opting out of higher speed broadband services, and moves internet usage towards work/college and mobile devices. Last year Ofcom highlighted the issue of inadvertent or unavoidable cross-border roaming which was driving up many people’s mobile bills. Two of the mobile networks operating in NI – O2 and Three – have responded by launching new roaming tariffs or boltons which alleviate the problem of excessive charging . During the year, the EU also curtailed mobile roaming charges within Europe – which could cut some previous high call charges in half. There’s a very stark contrast between the well-established GSM (2G) mobile coverage – with over 99% of all NI post code areas having at least one mobile operator serving them – and the extremely limited local 3G coverage (44%). Across the UK, 90% of the population live in an area served by at least one 3G operator. The Northern Ireland figure stands at just 44%, far lower than Scotland (72%) and Wales (68%). Amazingly, London has 100% coverage. In fact, 100% of London is served by not just one, but by four or five operators! Yet, the marketing must be getting through, as Northern Ireland take-up of 3G mobiles stands at 17%, equalling the UK average. But if you don’t live around Belfast, Lisburn, Holywood, Bangor, Carrick, Antrim, Derry or Coleraine – think twice before you bother to save up for the 3G Apple iPhone just yet, as you might be stuck on EDGE with no 3G coverage! And while GSM (2G) coverage is high, Northern Ireland has the lowest overall satisfaction with mobile phone reception (78%). Rural areas are markedly lower at 59%. Could that be driven by the poor 3G reception? Or maybe all those drumlins in Down are creating a lot of localised black spots? Mobile network use in Northern Ireland is dominated by O2 with 59% of mobiles using their network. 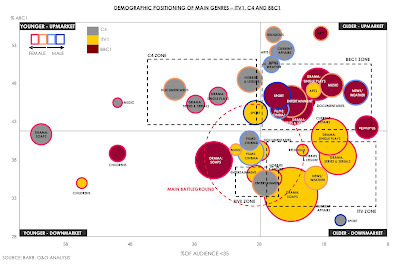 The other network providers run: Orange (14%), Vodafone (14%), T-Mobile (4%), Virgin (4%), 3 (3%), other (2%). At the report launch, Ofcom highlighted that approximately 38 of Northern Ireland’s 191 telephone exchanges are now unbundled and offer competition to BT through one or more of AOL, Carphone Warehouse, Sky and Tiscali. While quite a low proportion of exchanges, it does represent 51% of the population, and an improvement on the 10% figure at the end of 2006. Northern Ireland has the most rural population of the UK, so some of these exchanges may never be sufficiently commercially lucrative o be unbundled. Across the UK, the unbundled figure is much higher, with 80% of UK households connected to unbundled local exchanges. I’ll cover broadband in another post. It’s got to be one of the most unusual film’s I’ve watched for years. But a Japan-loving colleague lent me Bubble Fiction: Boom or Bust バブルへGO! 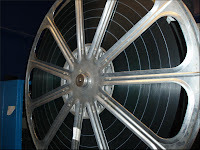 !～タイムマシンはドラム式 as an example of a cult Japanese film. After a period of growth and a wildly optimism economy in which people spent money freely and often, Japan is now amassing huge debt. Predicted to be bankrupt within two years. Major lending banks are beginning to fail. Debt collection is an urgent business. The failing economy threatens to bring Japan to its knees. Their unlikely time machine? A Hitachi washing machine, developed by a domestic appliance engineer. Mariko Tanaka, the slim inventor of the device travels back, appearing in newspaper clippings to let the modern day world know that she arrived safely. But contact is quickly lost. The washing machine is picky about the size of people it can send back in time. Well-built finance officials entering the machine end up with nothing more exciting than faded socks. But Mariko’s debt-ridden daughter Mayumi is persuaded to travel back. At times, the plot feels like it has more holes than any string vest that would ever be washed in the machine, but the film has a certain charm. Travelling back in time, the central character Mayumi endures the 1990 culture she had ignored while growing up (she was five in 1990), while her fashion style and dancing is unbelievable to the people she meets. There are lots of comparisons of the changes that have occurred over the seventeen years. Mobile phones were brick-sized back in 1990. There’s a wonderful scene where the usefulness of being able to take a photo with your phone while holding it to your ear is questioned! Tiramisu was a novel trendy dessert back then. And low cut jeans just look like they’re falling down. Intrigue, comedy, family angst, action (Geisha girls with a flair for waving hair pins) and a spot of conspiracy. The English subtitles seemed a little facile at times, and a lot of the humorous cultural references are lost in translation. It’ll win no awards for screen-writing or plot (at least, not from me), but if you’re looking to expand your cinematic horizons and want something different to watch, give this frothy film a spin in your DVD player. By the end, you’ll be able to pronounce time machine in Japanese: tahym muh-sheen. It has been a busy week, coming on the back of a hectic weekend, so there wasn't much time for blogging. This time last week, we were just back from the Falls Road, from a concert in Cultúrlann McAdam Ó Fiaich on the Falls Road. Originally Broadway Presbyterian Church, the building has been converted into a three-storey arts and cultural centre. "Roibeard McAdam, a Presbyterian businessman who pioneered the revival of the Irish language in 19th century Belfast and Tomás Ó Fiaich, a stalwarth of the Irish language in the twentieth century." The concert was an end-of-term performance by the Cór Loch Lao, almost entirely sung in Irish, and preceded by some enthusiastic youngsters performing and a Donegal singer/piper. 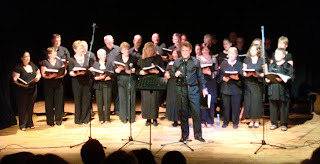 It was the last time they would sing under the direction of Manus O Baoill - so there was particular enthusiasm and emotion in the performances. their four part rendition of Psalm 84 (to the tune of Psalm 85 - or was it the other way around?) was spectacular. Really glad we accepted the invitation to attend - and really appreciated the warm welcome we received. For anyone who suggests that the Irish language is dead, the night was a great example of how alive it could be, with choir and guests chirping away to each other in their Gaelic tongue, greeting and chatting, fluently and naturally. Bumping into Fergus from Raidió Fáilte in the cafe afterwards was another reminder of the renaissance in Irish - an Irish language community radio station, broadcasting from upstairs in the same building. They'd recorded the concert for later transmission. Now on the linguistic spectrum, I'm stuck somewhere at schoolboy French with the year of Latin and two years of German now long since forgotten. So as a non-Irish speaker, walking into the hubbub of culture and language was at first bewildering. But while I'd struggle to get my tongue around any of the words, it was a relief that a friend with us (who's currently learning Kyrgyz in Osh, Kyrgyzstan) was finding the form of the language quite impenetrable - and she's somewhat of an expert! One question to any Irish-speaking readers. Is there a word for "banana" in Irish? Or was it just someone being lazy and not translating when I overheard this last week: "Blah blah banana blah blah!" At first, it was like walking into another world. A vibrant, welcoming, world. Not a threatening one. Has Northern Irish society made Irish something to be ashamed of? I’ve never heard a conversation in Irish in work. More likely to hear Hindi or French. Language is special. The way the words nuzzle up against each other on a page, the way words rhyme, the way phrases roll neatly off a tongue … these all shape the constructs we can use to think and analyse and express. Language shapes us. And different languages shape us differently. Losing a language, allowing it to die out, means you risk losing a particular outlook on life, a particular way of seeing things. And diversity’s usually a good thing for cross-pollination and finding creative solutions to difficult issues. Not too long back from David Porter's leaving do at the Centre for Contemporary Christianity in Ireland (formerly ECONI). Quite alarming the number of attendees who were also bloggers. And nice to see Gareth Higgins again in the flesh - as opposed to listening to his thoughtful cinematic musings on The Film Talk podcast alongside co-host and former Belfast flâneur Jett Loe. 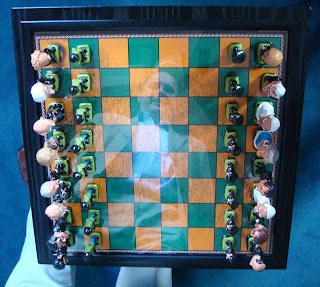 For someone involved in reconciliation and making a thoughtful contribution into the religious and political mire in the long build-up to the Good Friday agreement, the leaving present was close to perfect. 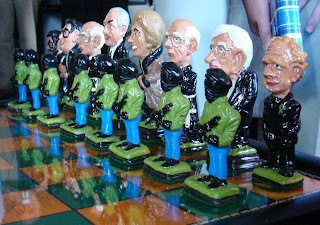 A marvellously carved and painted Northern Ireland political chess set. We interrupt this programme for a quick ad break. If you look through lists of Christian summer camps, you’d swear that everyone is athletic and adventurous, wanting to burn off steam in the great outdoors and rough it sleeping under canvass. And for some, that is their picture of heaven. And for others - including me as a teenager (and still as a thirty-something) - it’s a vision of the other place! No books. No technology. No proper bed. After all, everyone should know that God Employs Electronic Know-how! Held up in the Derryvolgie Halls of Residence in Belfast, everyone gets their own room with a proper bed and decent food! It’s wall to wall technology, looking across the range of internet, gaming, sound, video, filming voxpops and editing them, a bit of web design, blogging, podcasting … you name it, we’ll try it. Might even try some simple animation this year. 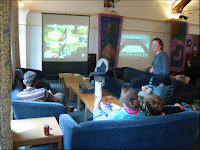 Think of it as BarCamp for teens! We also visit places, going behind the scenes where you’ll not often get the chance to see. 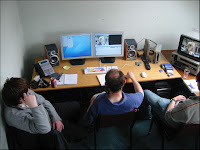 On previous camps, we’ve been around BBC NI and UTV, around the back of the projector (and theatre) at the Queens Film Theatre, as well as the Sonic labs at QUB. We’ve had very positive feedback from the campers who’ve attended during the first two years. A place to hang out with others who share your interests, have a lot of fun and learn new skills which you can use yourself or in your church or youth group. Lives, attitudes and confidence changed. New skills that are useful. New friendships that are real - though will still survive the virtual world. And time to think about God’s plans for each of us and how we can make best use of our talents and interests. So if you’re aged 13–16 years old (or know someone - male or female - who is) and free between Monday 4 and Saturday 9 August, why not join us for a week of fun. A bargain at £99. On the drive from Stansted airport up the A120 and over onto the A12 heading towards Ipswich, there are a number of things I expect to see on the road. There's the funny sculpture - Essex's answer to the Angel of the North - on the right hand side heading towards Braintree. There's the skateboarding park on the way into Mark's Tey in which I've never seen a skater. And the signs for Gnome World leading down a country road that I've haven't quite found the time to investigate. About five miles out of Ipswich, some familiar and green passed by on the other side of the dual carriageway. 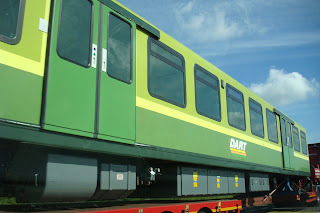 A DART carriage. Must have come off a boat in Felixstowe docks. And then heading up to the Copdock roundabout (perhaps easier to distinguish as the Toys'R'Us roundabout) there were another two low loaders carrying DART-liveried carriages - this time heading towards Ipswich - or perhaps ready to turn up the A14 towards Cambridge. Bizarre. A team of lunatics driving them around Suffolk while their GPSs search for the right way to Dublin? But hopefully good news for Dublin commuters. Shiny new trains on their way. And at least this week's trip to Ipswich was less eventful than the last time I was there. 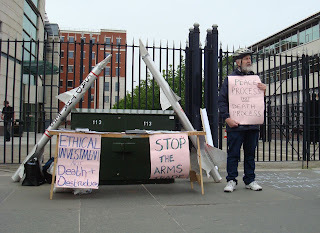 In years gone by, standing with a couple of rockets outside Belfast Courts would have been enough to evacuate the area and get you arrested. It was a bit more Blue Peter than the usual graphic images used by the anti-abortion protesters who sometimes congregate around the courts. The trial has been adjourned. The protesters still face other charges including criminal damage at the US defence company’s offices. There’s no way that all of that fitted on the back of a bicycle? Or is the cycle helmet protection against the risk of falling cardboard tubes? So hot it would melt your ice cream! Something’s cookin’ in Victoria Square. Victoria Square’s glass pimple is a sun trap. 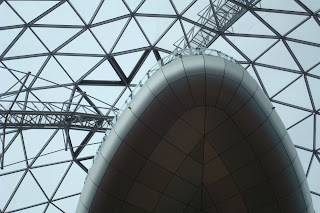 And to cope with the couple of days a year when Belfast is blessed with good weather, the designers did incorporate windows that open when the temperature goes above 19 degrees, and a sun blind (“solar shade”) that moves around the dome, tracking the sun. The dome was closed to the public as temperatures soared to 30 degrees. As a result, Victoria Square are now seeking other ways to keep the dome and the viewing gallery at more manageable temperatures. Maybe NIE will sort them out with solar panels linked to giant air conditioning units! Victoria Square has been filling out its empty units over the last few months, with a raft of eateries opening last month, and now Topman opening on 12 June with 6,000 sq feet of space alongside “its sister store Topshop”. Look out for the “faux animal skin wallpaper”, the testosterone enriched aftershave and the “accessories and shoes ... housed in Bauhaus inspired structures that compliment their surroundings”. (At least one part of that last sentence was made up.) Sounds like the venue for the next Belfast Flickr meet-up! Anyway, to “celebrate the opening of the new store” and to generate lots of good publicity, Topman are hosting a secret gig at 8pm on Wednesday 25 June. They’ve already booked a couple of DJs - Rigsy and Jonny Tiernan - along with Jape to play on the night. But they’re still an act short and are looking for a local emerging band to play on the night. Bands can hand in demo CDs (max. three tracks along with contact information) to the store between 12 and 19 June, or send them direct to Topman Competition, AU Magazine, 56 Bradbury Place, Belfast, BT7 1RU. So there. If you’re feeling young, musical and directional, don’t forget to head down to Topman. I think I’m too old and square! But it was one of the less begging emails that arrived in AiB’s inbox seeking to exploit local blogs for publicity, so it deserved an airing. Something lighter for a change. I’m almost sure I heard Bob Monkhouse on the radio once espousing his belief that there were only really seven different types of joke - laughing at other people’s misfortune, unexpected interventions, word play, etc. Lore Sjöberg has heard something similar about story writing, and then applied it to blog post. Let’s hope it wasn't on a creative writing course! Sainsburys eventually got around to responding to the great tea bag scandal. They point to Cafedirect’s pricing – sounds like the wholesale price of the small boxes of Teadirect is particularly competitive! Thank you for your email about the price of Teadirect teabags in our stores. Please accept my apologies for the length of time it has taken me to respond. Please let me assure you that we know price is very important to our customers and we monitor around 15,000 lines weekly to ensure we remain competitive. I do understand your concerns about the price of the large box of these teabags. At the moment, due to supplier costs, we cannot lower the price of the larger box. However, we will also not increase the price of the smaller pack as this would be unfair to our customers. Given the seeming long-term nature of the pricing – Sainsburys have been running with a favouring-small-boxes policy for some time, reflecting the Cafedirect wholesale pricing to Sainsburys - maybe it’s time for an ethical supermarket to run down its stock of large and overpriced boxes, and only stock the small ones. After all, that would ensure that their customers always get the best value ... and would be unable to be ripped off by choosing the large box without checking the price differential. Just like the Post Office thread, suspect that’s the last you’ll hear about tea bags for a while. Now that their press release has been backed up by the full Northern Ireland decision booklet, some of the themes from the public consultation and the Post Office’s response around the closure of the Belmont post office can be read. The main concerns expressed by respondents during local public consultation in relation to our proposal to close this branch related to the relatively large proportion of elderly and disabled people in the local area, many of whom respondents considered may not have access to private transport and who might therefore find it difficult to access alternative branches. Respondents commented on the perceived poorer parking facilities available at the alternative branches and the inadequate level of disabled access at Post Office® Strandtown branch, which also has shorter opening hours. Respondents also expressed concerns that the proposed closure might have a detrimental effect on local business customers, who comprise the majority of customer transactions at the branch. Respondents considered Post Office® Belmont branch as always busy, conveniently located with ample parking facilities and that it has level access for customers with mobility difficulties. Respondents praised the staff at Post Office® Belmont branch for providing an excellent service and claimed that the branch is part of the social fabric of the local community. Two petitions and four campaigns were submitted during the local public consultation, opposing the proposed closure. Post Office Limited has considered all responses received during the local public consultation and a review of this proposal has been undertaken. Approximately twenty percent of the population of East Belfast is of retirement age and there is a high proportion of care homes for the elderly in the area. However, the residents of the care homes do not generally use the Post Office® branch for collecting their pension/benefit payments. The two nearest alternative branches, Post Office® Ballyhackamore branch and Post Office® Strandtown branch, are each located approximately half a mile away and offer car parking facilities. Post Office Limited considers that both of these nearest alternative branches have the capacity to absorb the expected increase in customer levels that may arise if Post Office® Belmont branch is closed. In addition, there is a half-hourly bus service to Post Office® Strandtown branch from Post Office® Belmont branch which offers free travel for people over the age of 65. Post Office® Ballyhackamore branch has good access into the branch for customers. We will be reviewing customer access at Post Office® Strandtown branch with a view to improving the ease of physical access to the branch and an extension of the current opening hours will also be taken under consideration. Taking these and all other relevant factors into consideration, including the needs of more vulnerable customers, Post Office Limited has decided to proceed with the closure of Post Office® Belmont branch. The plan suggests that with the closure of Belmont Road migrating business will be satisfactorily accommodated at the Strandtown and Ballyhackamore branches. However, a high level of objection to this closure was received during public consultation on the grounds that the alternative branches are inaccessible in terms of DDA compliance, parking, public transport, queuing, safety of customers on petrol forecourt and opening hours. Also, since this community has already experienced a loss of the Knocknagoney Post Office under the Urban Reinvention Programme, withdrawal of this additional post office will lead to further disruption of customers living in this area. A significantly high proportion of elderly customers who reside in this area rely heavily on this post office, as do numerous SMEs and schools which use the post office daily. Postwatch maintains its opposition to this proposed closure. Furthermore we would maintain that coupled with the proposed closure of Summerhill Post Office, Post Office Limited are leaving an unacceptable gap in the network within this area. Additionally, we would question the capacity of Ballyhackamore branch in managing migrating customers from both Summerhill and Belmont Post Offices. That’s probably the end of Post Office-related posts for a while. The results are in and despite letters, emails and a public meeting (with 200 residents and customers attending), the Post Office have not been swayed and are going ahead with their plan to close Belmont Post Office on the corner of Campbell Park Avenue and Belmont Church Road next month. As well as not being swayed to keep it open, the process has not provoked the Post Office Consultation Team into explaining in more detail why Belmont had been targeted, or the criteria that had been applied to single it out. In addition, Meanwhile, the closure of Groomsport Post Office will go ahead, but a replacement outreach service will now be considered. The opening hours of seven proposed outreach services have also been extended. So what made them change their mind? 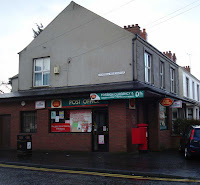 “Post Office Limited was informed of significant evidence of local regeneration with regard to both Parkhall and Strathroy Post Office branches and taking this, and all other factors into consideration, Post Office Limited has decided to retain both branches in its network. The proposal to close The Throne Post Office was dependent on the reopening of a branch at the Abbey Centre. Post Office Limited has been unable to confirm this reopening and, taking this and all other factors into consideration, has decided not to proceed with the closure of The Throne branch. Maybe the Post Office will soon get around to updating their website with the local NI decision - seems a shame to make information available, but not keep it up to date. showing the overlap of users across the same set of competing IT systems – quite simply using overlapping circles like Form 1 set theory. So as I read through a staggering number of other non-related reports and briefings last week, my eyes (and perhaps brain) were on the look out for novel ways of getting across data without having to resort to a straight bar chart or table of values. These two caught my eye tonight. They’re from the Oliver & Ohlbaum Associates independent section of the Review of Talent published earlier today by the BBC Trust. As well as the style below, O&O have a good selection of other diagramming techniques. I'll post any other good or thought-provoking examples as I come across them in the weeks to come.